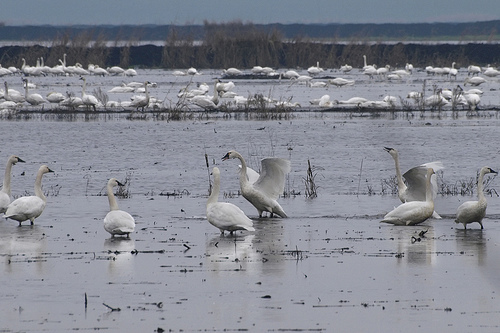 Petition from the Friends of Tundra Swans – Please Sign Now! Please stop the multiple wind turbine projects that will spell the destruction of the Tundra Swan migration habitat on the Thedford Bog near Grand Bend on Lake Huron. March 24 2013- Thedford Bog, Lambton Shores – Nextera Jericho and Goshen Projects (92+64 turbines) will surround the bog. Posted on April 8, 2013, in Environment, Take Action. Bookmark the permalink. 1 Comment.